Shaker style furniture like the Amish Shaker Ohio Dining Chair with Arched Top is lightweight and full of purpose. Shaker style furniture features no frills. This dining chair is solid wood with a slatted back and rounded chair crown. 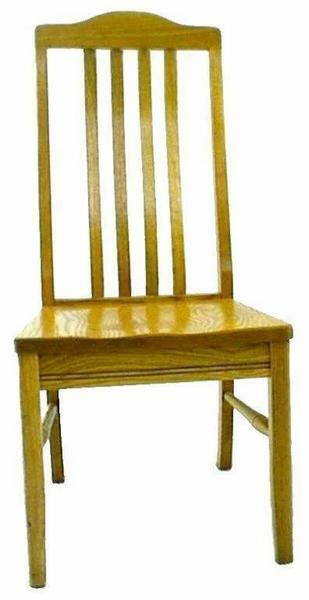 These shaker chairs are made by hand by Amish woodworkers and come to your home from an Amish woodshop in Ohio. Order online or get in touch to start an order for your new solid wood dining room chairs.